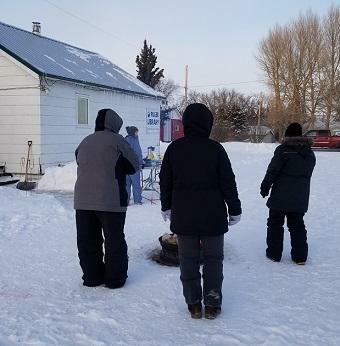 In celebration of Saskatchewan's Family Day holiday, the Pilger Public Library hosted an outdoor event that raised money to help with programming expenses. Held the day after the holiday, the event invited families to gather for winter fun and socializing. And come they did. Garbed in warm winter gear, they gathered outside the library to bask in the warmth of a bonfire. Once toes were toasty, they purchased meal ingredients and set to roasting. "We had a great turnout," said Branch Librarian Crystal Gudmundson. "A big thank you to everyone who came to enjoy roasting hot dogs, marshmallows, and eating treats. Also, our appreciation for our board members who are an integral part of our library and community along with thanks to the Humboldt Co-op Food Store for a generous donation." Wapiti Branch Librarians are once again preparing to run the annual TD Summer Reading Club for kids up to age 14. This year, the theme focuses on inviting participants to "unplug" and take time to explore stories and the science of nature through adventure and play. Suggestions include growing a seed, observing weather, and letting playful curiosity give rise to questions about the world around us through exploration. TD Summer Reading Club is Canada's biggest, bilingual summer reading program. Co-created and delivered by public libraries across the country, the TD Summer Reading Club is developed by Toronto Public Library in partnership with Library and Archives Canada. The Shellbrook Library Kid's Book Club cooked up a good time at a recent meeting. 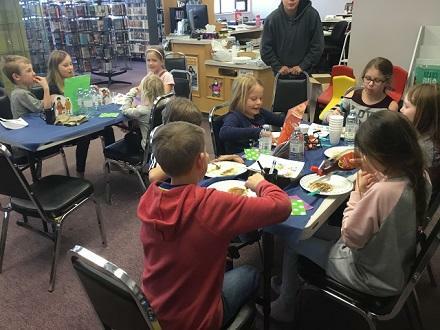 Seeing the adults have lots of fun at their 'Book Tasting' event in October 2018, the kids decided they wanted to have a Book Tasting of their own. Spearheaded by Lydia Manly, the Book Tasting was planned and organized with the help of Branch Librarian Dian Campbell. Four tables were set with four different series: Nate the Great (Marjorie Sharmat), Bunch of Munsch (Robert Munsch), Amelia Bedelia (Herman Parrish) and Asterix and Obelix (Rene Goscinny). Along with the books from each series was a yummy treat chosen with the series in mind, including of course, Lemon Meringue Pie (Amelia Bedelia's favorite). Kids were invited to look through the books, fill out their menu cards with names, ratings and drawings, then try out the snacks. It was a great way for young readers to sample different authors and series while they 'nibbled' on a book to decide if they wanted to devour the whole thing. Twelve children braved the cold January weather to enjoy the afternoon munching on literary food. Left to right: Board Chair Amy Kuhn, Branch Librarian Bettyann Gerwing, Board member Andy Gerwing. On March 2, 1959, the Wakaw Public Library was established. Regional records show that it was established in the Nurse's Residence, then moved into the Town Office in the 1960's. 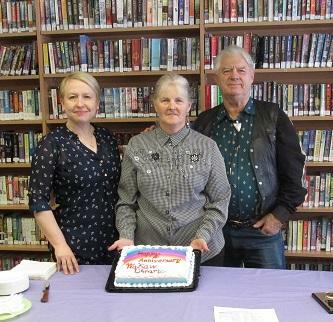 This month, the library celebrated its 60th anniversary with an open house featuring coffee and cake. Our congratulations to the library and staff for longstanding community service. 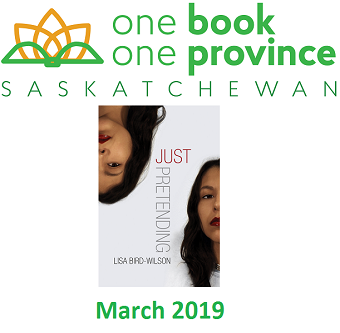 The Saskatchewan Library Association invites readers across the province to join its One Book One Province initiative by reading the same work during the month of March: Just Pretending by Cree-Métis author Lisa Bird-Wilson. Print copies of the book are available through local libraries or online through Wapiti's free e-Resource, hoopla. Terrance Littletent, world champion grass and hoop dancer performance hosted by Tisdale Community Library. February was a busy, entertaining month as many of Wapiti's branch libraries hosted Aboriginal Storytelling Month events. 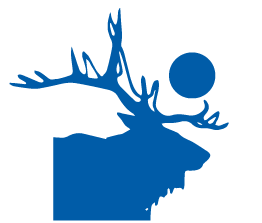 Coordinated by the Wapiti Community Services Librarian, events were hosted in Blaine Lake, Canwood, Kinistino, Middle Lake, Muskeg Lake Cree Nation, Nipawin, Shellbrook, Spiritwood, James Smith Cree Nation, Sturgeon Lake First Nation, and Tisdale. Rabbit and Bear Paws at Bernard Constant Community School. Hosted by James Smith Public Library. 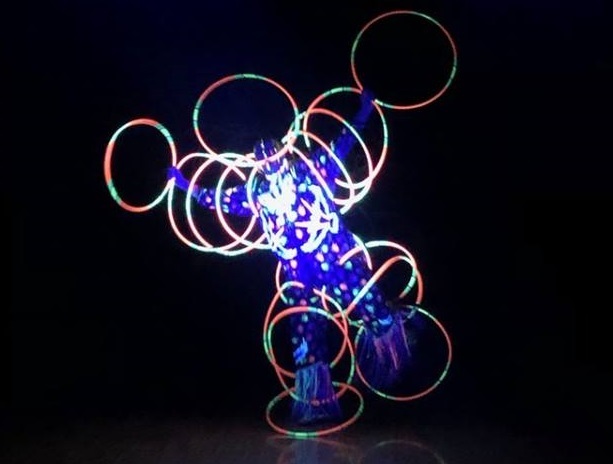 One of the two main performers booked this year was Terrance Littletent, a world champion grass and hoop dancer. Born in Regina, Littletent is from the Kawacatoose Cree Nation where he inherited much of his traditional teachings through family and elders, singers, dancers, storytellers, and academics. He has been dancing since age six. This year saw the return of the ever popular Rabbit and Bear Paws, two fictional young brothers who enjoy comical adventures designed to share traditional teachings. The presentation (featuring Chad Solomon and his many life-like puppets) is highly interactive, involving enthusiastic listeners in the storytelling process. "Saskatchewan Aboriginal Storytelling Month is an important part of Wapiti's annual programming," said Community Services Librarian, Lindsay Baker. 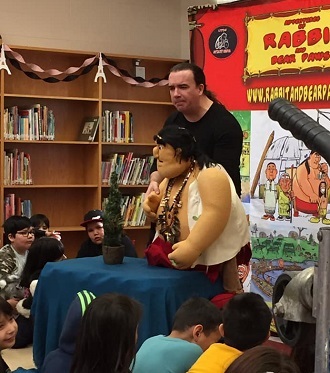 "Thanks to assistance from the Library Services for Saskatchewan Aboriginal Peoples (LSSAP) committee's grant funding, we are able to have performers and storytellers like Terrance Littletent and Rabbit and Bear Paws help us celebrate Indigenous culture, history, and traditions at our libraries and at partner schools. This year's performances were a hit with audience members of all ages." Saskatchewan Aboriginal Storytelling Month is sponsored by the Community Initiatives Fund, Sask Culture, Saskatchewan Lotteries, Saskatchewan Arts Board, Government of Saskatchewan, SaskTel, Saskatchewan Indian Gaming Authority (SIGA), and LSSAP. 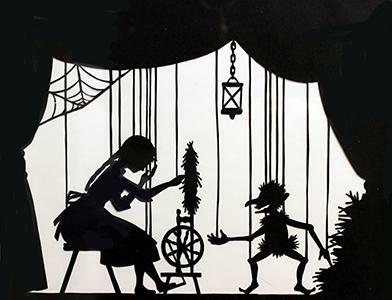 Waltraude Stehwienn - Rumpelstilzken on Marionette Stage, scissor cut, 1991. An historic art form important to German folk art is currently on display at the Shellbrook Public Library. It features Scherenschnitte, where silhouettes are cut from one piece of special black paper with scissors or knives. Immigrants brought scissor cutting to North America in the 17th century. The collection on display ranges from traditional German Scherenschnitte represented by Waltraude Stehwien, a German immigrant, to papercut evolved into sculpture by Jess Richter, a second generation German-Canadian. 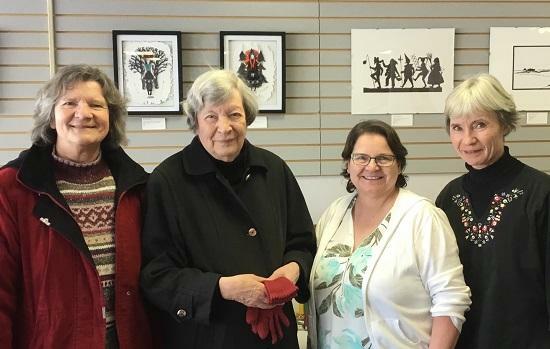 In early February, library staff and patrons received a pleasant surprise when featured artist Waltraude Stehwien and her two daughters travelled from Saskatoon to see her work on display. The exhibit is hosted by the library in partnership with the Organization of Saskatchewan Arts Councils (OSAC) and the Shellbrook & District Arts Council. It will run until March 23, 2019. In mid-January, Christopher Lake teens and adults participated in a craft at the Christopher Lake Public Library that challenged everyone's knot-tying skills. First came instructions and a demonstration. Then the crafters got to work, mastering knotting techniques to create various sized macramé owls destined to be wall hangings and even key chains. "We had a lot of fun once everyone got the hang of the knots," said Branch Librarian Kristin Burton. "It was fun to chat and get to know everyone as we worked." 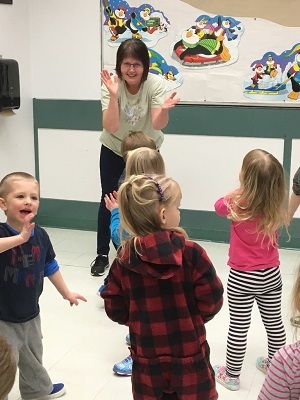 When a patron asked Tisdale Public Library Branch Librarian Isabel Hankins-Wilk if there was a preschool Music and Movement class in town (there wasn't), it seemed the prime time to initiate a program that had been percolating in the back of the Branch Librarian's mind for some time. The result was a weekly program focusing on music, dance, and rhythm for kids aged three to five. And it's not just the kids that join the musical romp, it's their parents and caregivers as well. Every session begins with the same Hello song. Then, three songs are sung containing directional lyrics, such as touch your toes, clap your hands, or spin around. Dancing music comes next followed by kids playing rhythm sticks or shakers. More music follows, incorporating scarf and freeze dances. The class wraps up with the same Goodbye song. "The kids get revved up," said Hankins-Wilk. "We alternate between fast and slow tempos, but once they get going, the kids can't slow down. 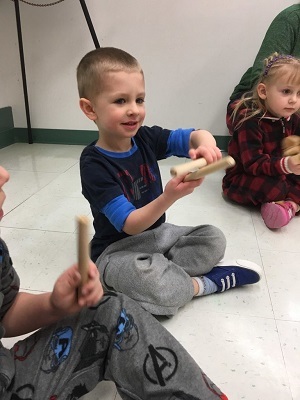 It's a great well-rounded activity, using components that exercise physical abilities, develop balance, and increase creativity and well-being." 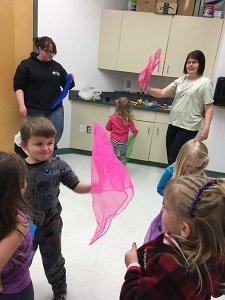 In celebration of Read Aloud Day (February 1, 2019) Melfort Public Library hosted a playful, after hours Family Fort Night. Families brought flashlights and essential fort construction materials such as sheets and lightweight blankets. The very young, dressed in PJs, brought their essential fort companions: favorite stuffed animals. "It was easy and fun programming for families and staff," said Branch Librarian Penny Markland. "After our reading time, everyone especially enjoyed playing hide & seek in the library with only glow sticks for light." 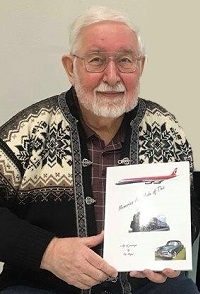 Recently, the Nipawin Public Library hosted Saskatchewan author Ron Unger who read from his novel Memories are Made of This: a Life of Journeys. Unger explained that the book is not a travel guide. Rather, it is an account of his own personal experiences and memories of trips he took across Canada and abroad. Destinations included East Africa, Asia, South America, and the United States. To close the evening, Unger donated a signed copy of his book to the library. 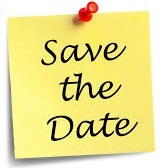 The 2019 Wapiti Regional Library Annual General meeting will be at 1pm, Saturday, April 27 in the Fellowship Hall at the Messiah Lutheran Church, 1796 - 15th Ave East, Prince Albert. The meeting is for all Regional Board members appointed by municipalities within the regional area. Highlights of the meeting will be presentation of the 2018 Annual Report, approval of the 2019 budget, and election of the 2019/2020 Executive Committee. As an active partner in educating youth, the Archerwill Public Library recently conducted its second annual Young Writers short story contest to encourage writing creativity and expression. 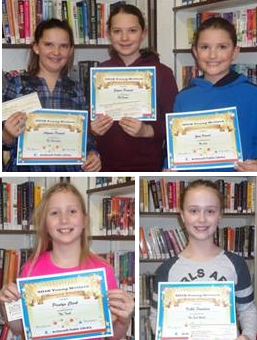 Pictured to the right are some of the young writers exhibiting their cash awards and certificates of participation. Our congratulations to these developing authors. To help support our libraries, we want to increase our list of newsletter recipients. You can help by sharing our newsletters with family, friends, and others by clicking on the "Forward this email" link near the bottom of every newsletter. They may sign up by clicking on the "Get Our Newsletter" box.